Oooh Ahhh.... My Feet Feel Fantastic! Since June, I've been experiencing foot issues and have realized more than ever that I need to take care of my feet and keep them happy or consequences will be paid. I'm not willing to give up running, so taking care of my feet is jumping to the top of my priorities. Being able to relate to 50% of the ailments on that list, I was definitely convinced I had to contact the folks at AirFeet to inquire about reviewing these promising insoles. I'm so happy I did! They immediately sent me a pair of insoles to try out and my feet have been happy ever since. At first I wanted to wear them all of the time. Yes, they felt THAT good. But I adhered to the Break-In Schedule recommended by AirFeet. And I did put them in multiple pairs of shoes - running shoes and sandals. I don't wear flip flops but you can wear them with flip flops. Check out the AirFeet FAQ page for more information about this. What I noticed from the start was pockets of air below my feet. At first it felt a little weird, but I adjusted to it and now it just feels right for my feet. And you know what? They don't ache anymore! I've worn them while doing things around the house, gardening, running errands, on the elliptical, strength training and running. And they have felt fantastic each time! Why is that? 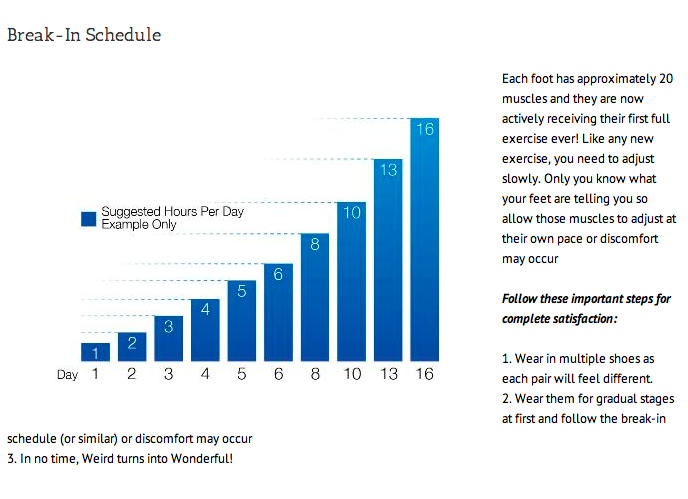 AirFeet uses the principles of reflexology with Active Flow Media to provide support and comfort to your feet. And good news with stinky feet people - um, me again! AirFeet Insoles are protected with an antimicrobial treatment called MonoFoil. It's a patented earth element that kills viral bacteria, fungi, mold and mildew on contact. This is reassuring to me, a person who has the ability to stink out my entire family with my feet. I'm equally excited that if I want to clean my AirFeet Insoles, I can and it's easy! They can be hand washed or machine washed on a delicate cycle in cold or warm water with a mild detergent. Please do not use bleach and only AIR DRY!!! To find out more information about AirFeet - you can follow them on Facebook and/or Twitter. Disclaimer: I was sent a pair of AirFeet Insoles to review. I was not obligated to give a positive review. As always, all opinions expressed on my blog are 100% my own. these sound pretty great, glad they are working for you! These sound awesome! I am looking for a comfy insole. Going to check them out! I am meeting with my doctor again next week to discuss plans for my new plantar fasciitis. I will have to keep these in mind. I'm so glad you found something that works! Hooray for happy feet! Oh my! If you do try them - please let me know how it goes!!! Yeah - I'm super happy with these!!! They feel fantastic. Definitely keep them in mind!!!! I think they are miraculous! I hope your PF heals quickly!!! What AM I training for? Hydration is Key & Oral I.V. is Here to Help!